Sell Your Auto Notes and Unlock The Cash In Your BHPH Portfolio. Looking for Cash Flow Solutions? Sell your auto notes, to increase your CASH flow and reduce your risk exposure. Let us show you how to increase your CASH flow without creating new debt, don’t wait for your customer to pay you off, Or total your car. We can help you get the financial flexibility needed to compete in today’s auto industry. The Sell Buy Here Pay Here Accounts Program Is Simple. Two to Three Months of payments should have been paid. All deferred down payments should have been paid. Customers need to be in possession of the cars. Not out for repo, skips or impounded. Call Us If You Want To Sell Buy Here Pay Here Accounts! Ask About Buy Here Pay Here Bulk Purchase Program! Wholesale vehicle prices remain high and the costs associated with reconditioning vehicles continue to increase. The amount of money BHPH customers have available for down payments remains about the same, as it has for years. Buy Here Pay Here dealers are being forced to increase their cash in deal on each sale to maintain their sales levels and their customers. These things have led many Buy Here Pay Here dealers to consider something they would never have before; selling their BHPH notes. More readily available cash and higher costs have made this an attractive option for some. Look at some of the advantages of selling off some notes so you can decide whether selling some or all of your notes is a step you should consider for your dealership. By selling off notes, some dealers believe they can operate more efficiently. Selling a note transfers the collection responsibility, in most cases, to the note buyer. That means that the dealer and his staff can spend their time selling vehicles and let someone else worry about collecting the notes. Many dealers use floor plan lines, credit lines from their banks or loan to fund their operations. Some have had to take on partners to increase the equity in the business. Many of these dealers have decided that selling off notes might be a better alternative to these other funding sources by giving them more control of the process. If you are considering selling some of your auto receivables you probably have a lot of questions. How many accounts do I have to sell at a time? How much seasoning do the accounts need? What payment types do you buy? 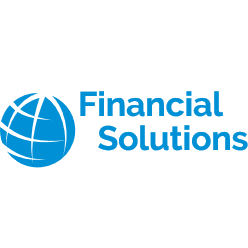 At Financial Solutions, we have helped hundred’s of dealers get cash for their receivables by offering the best programs in available in the marketplace. Call us today 615-414-6708 and let us show you how to, sell auto notes and turn them into cash. For more information check out sell auto notes. Are you looking for more capital to purchase new inventory or cover expenses? Why not sell your performing auto notes in bulk to get cash now. Selling BHPH Notes allows you to spend more time doing what you do best. Selling more cars and less time worrying about collecting on your auto loans. Selling BHPH Notes allows you access to cash with out getting expensive bank loans and having to put up collateral. Provide us the information on the accounts you would like to sell. Get a quote. Send in the documents for review. Get paid! BHPH Note Buyers look for accounts that are current and have paid some on-time payments. Cars should be in good working condition. Are you looking to sell your BHPH portfolio? Give us a call we will be happy to go over the process with you. Did you know that you can sell your performing BHPH loans for cash? Use the money to reinvest in inventory or to cover your expenses. Call us to find out more. BHPH Notes are in bulk. We like to start out looking at BHPH Loans of at least ten. Financial Solutions - We Turn Auto Notes Into Cash!